Ask Ayurveda: How do you Treat Vata and Pitta at the Same Time? 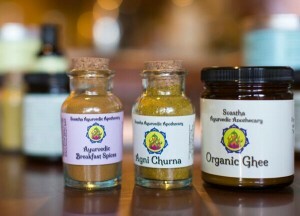 Have a Question for Ayurveda? Submit it here! What a great question this is! The paradox of how to deal with multiple doshic imbalance that possess opposite qualities, such as treating the coolness and constriction of Vata while simultaneously dealing with the heat and intensity of Pitta. This can cause major issues indeed if not treated with the proper knowledge and awareness. Of course this is true when dealing with any imbalance that involves more than one dosha. Another very common example I see often is when an individual is dealing with excessive weight (Kapha) while simultaneously experiencing high anxiety levels (Vata). It can definitely be a slippery slope if one is not careful, since treating one can sometimes disrupt the other further. I myself am considered “dual doshic” as my Vata and my Pitta are both equally the strongest doshas in my constitution (aka Prakrtti). This also means that they are both easily imbalanced at any given time. For instance, just as you mentioned, I also tend to always be ridiculously cold in the fall and winter but as soon as summer comes around I quickly overheat and my irritation rises. This can also be seen in my bowel habits as well. I tend to run on the “loose” side of the spectrum, however, if I am dealing with high stress, traveling or other changes; I can quickly become constipated at the drop of a hair. It can definitely be a fine line. This is where you will need to really break down the specific issues at hand and use full awareness. It can also be helpful to contact an Ayurvedic practitioner if the imbalances are strong. Sometimes self-diagnosis and self-treatments can be faulty if the proper knowledge is not there, and one can end up doing more harm than good. In the meantime, I would love to share with you a few general rules that I use when dealing with more than one doshic imbalance simultaneously. 1. Treat with the season. When dealing with more than one doshic imbalance, it is often helpful to look at the current season you are in. In summertime, Pitta will naturally be more increased and therefore will need more attention; whereas in the fall or winter your focus will be more Vata orientated. This doesn’t mean that you can completely forget about the other dosha, but instead give a little more attention to whichever dosha is related to the current season. 2. Use treatments that work on both doshas simultaneously while avoiding the treatments that do not. No matter which two doshas (or all three) that you are dealing with, there is always a way to perform a balanced treatment that will gently nourish both doshas. This may be certain herbs that reduce both Vata and Pitta such as Shatavari, Guduchi or Vidari; or foods that will also pacify both such as avocado, coconut, whole grains or ghee. It may take a bit more thought, but there are always ways to pacify multiple doshas at once, whether you are dealing with diet, lifestyle or herbal treatments.Alternatively, you will want to avoid food and herbs that will treat one dosha but increase the other. A good example is bitter herbs such as Neem and Kutki. 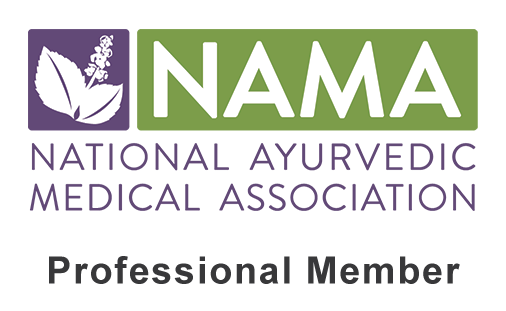 These are amazing treatments for most Pitta issues, but unfortunately strongly aggravating to Vata dosha as they tend to increase dryness, anxiety and spaciness. Another example is raw greens such as kale or collards. Once again, a great food for Pitta imbalance but highly Vata provoking and therefore should be avoided when dealing with a dual imbalance. 3. Balance the treatment by using a few Pitta pacifying practices simultaneously with Vata pacifying measures. Keeping the second recommendation in mind, there are some occasions that I just need to use an herb such as Neem to reduce the Pitta, even though there is already a Vata imbalance. When this is the case, I will simply balance the bitter/coolness/dryness of this herb by combining it in a formula with some more unctuous (oily), warming herbs such as Ashwagandha. This holds true with food as well. If someone really enjoys bitter greens and it is good for reducing the Pitta, I would have them sauté the greens with a bit of ghee and warming spices to help balance the cold-rough qualities of the raw greens that tend to aggravate Vata. Luckily, many things can be altered a bit to help make it balancing for both doshas. 4. Discover the specific area of the doshic imbalance and use localized treatment. If you are dealing with multiple doshic imbalances, chances are they are effecting different areas of the body (although not always). For example, if you are experiencing anger and irritation (Pitta) in the mind but gas, bloating and constipation (Vata) in the digestive tract then the treatment plan should focus on pacifying Pitta in the mind and Vata in the gut. To continue with this example, if Pitta is aggravated in the mind you can do some cooling practices that focus more on the mental-emotional level such as Shitali Pranayama (the cooling breath) or performing a self-oil massage with cooling Pitta Oil. While treating the nervous system with these localized Pitta-reducing treatments, you would then carefully treat the digestion with some Vata-reducing measures. Some good options that will not provoke the Pitta further include using ghee, fennel, coriander, cumin, pippali and fresh ginger. You can also make fresh ginger tea with some honey and lime juice. Here we are using these localized digestive treatments that are a bit warming for the Vata issues, but not aggravating to Pitta. *So with this recommendation, I am not only using the localized treatment, but also keeping in mind recommendation number two of trying to use treatment options that will not provoke the other dosha imbalance. 5. Discover which dosha is at the root of the disorder. Sometimes in a disorder that involves multiple doshas, there is only one that is actually the root cause of both imbalances. This means that the dosha that is the root cause has such a strong imbalance that it has “overflowed” from its home and is aggravating the other dosha. In Ayurvedic terms, we call this “pushing” or sometimes “blocking” (i.e. “Vata pushing Pitta” or “Pitta blocking Vata”). Using your question of the Vata and Pitta imbalance for example, let us say that the Vata is the root cause. This would mean that the Vata is so aggravated, it is overflowing into the domain of the Pitta and has in turn caused the Pitta to increase. To be even more specific, let’s use a common example of anxiety (a Vata disorder). Sometimes the anxiety is so high, it causes diarrhea or loose stools (a Pitta disorder). We would call this “Vata pushing Pitta in the colon”. Since the cause of the diarrhea is the anxiety, we would then want to treat this solely since healing the anxiety will eliminate the loose stools. This is not always the case for dual doshic disorders, but is fairly common and should be addressed accordingly. 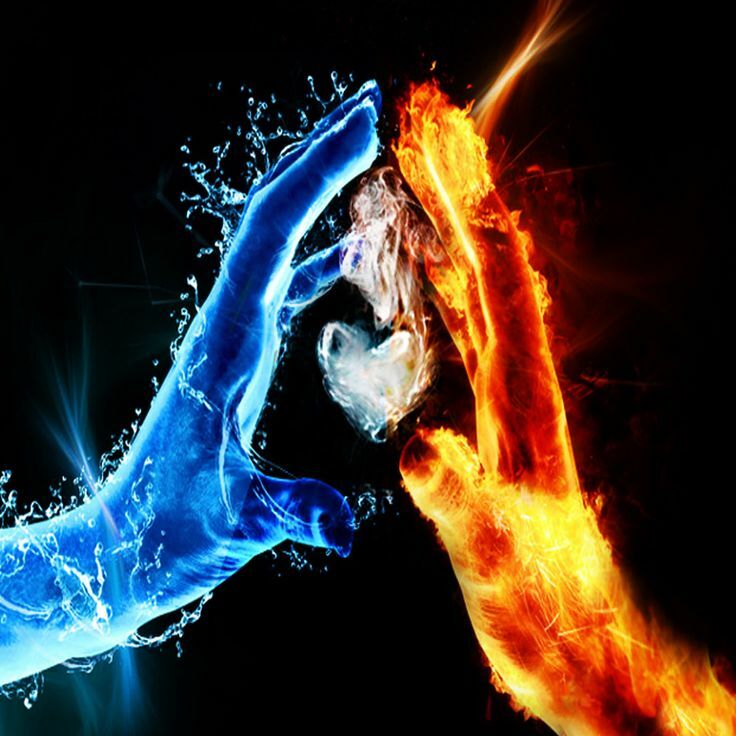 So Hot and Cold, these are the areas in which to examine when dealing with Vata and Pitta simultaneously or anytime you have more than one dosha to balance. These are general recommendations, but should work well with your issues. Of course to get really specific, I would need to examine further and get more information through a full consultation. Hopefully these can help guide you in the meantime! Thank you so much for taking the time to submit your question. Believe it or not I get asked this question often, so I know it will help many others. This was a great question and a clear answer. Thanks. Glad it helped. There’s so many great questions it’s hard to answer them all! Thanks for reading! Very good question and answer! thank you! Question…I would say I have a pitta mind and Vata body. Would it be ok to take Vata digestive supplement or will this aggravate Pitta? Thank you for writing in! I would have to know more information to give you a proper answer, but generally speaking if Vata is more predominant in the digestive tract, and Pitta in the mind then you should be able to use Vata treatment that is geared toward increasing the digestive fire. However, if it is summer and/or Pitta is high (even in the mind), then heating spices and herbs may still increase the overall Pitta causing more Pitta symptoms such as anger, judgement, criticism, etc. If it is unclear which to use, the safest bet would be to utilize digestive stimulants that will be beneficial for both doshas. For example CCF Tea is a great option. Alternatively you can begin treatment of the GI tract using Vata digestive aids and discontinuing treatment if Pitta becomes high. This is called Upashaya meaning trial and error. If all else fails it may be best to find a knowledgeable practitioner to get a full evaluation and individualized treatment. I hope this helps to clarify a bit:) Thanks again for the question!